WDDX Tech Blog: Vitamin Awesome! You are Here: \HOME \BLOG \VITAMIN AWESOME! Heh. 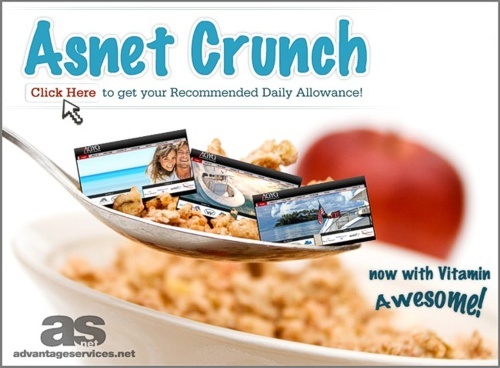 Asnet Crunch. Vitamin Awesome. Another website announcement from Advantage Services, this one for AGYG.